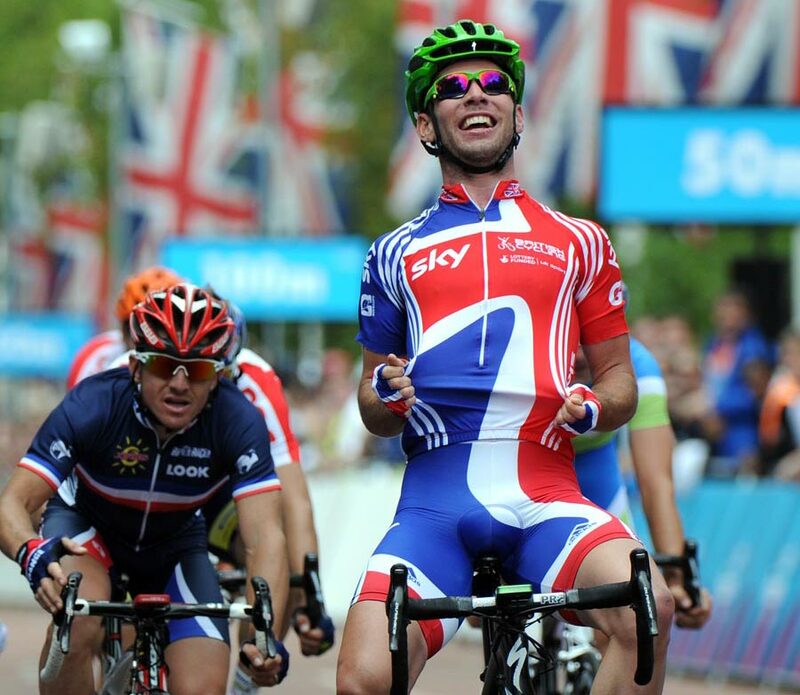 Mark Cavendish sprinted down The Mall this afternoon to take victory in the 140-kilometre London-Surrey Cycle Classic, the Olympic test event. 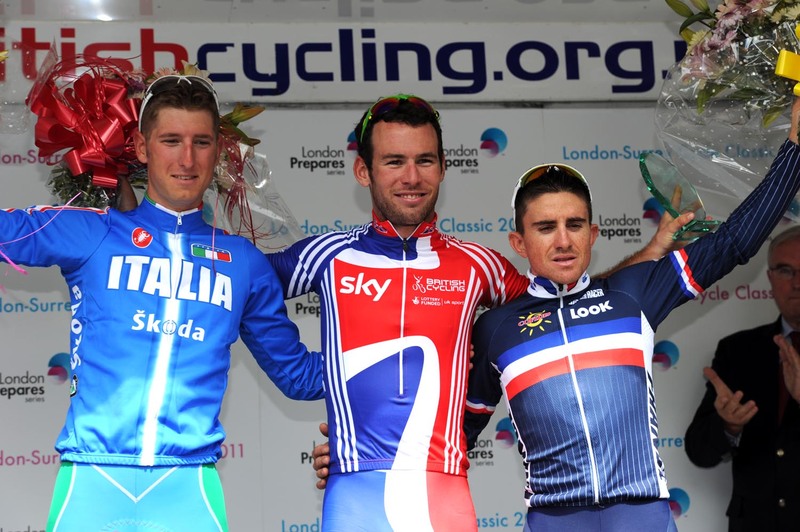 As if his status as Olympic favourite needed any more embellishment, he finished ahead of Sacha Modolo (Italy) and Samuel Dumoulin (France) in the shadow of Buckingham Palace. 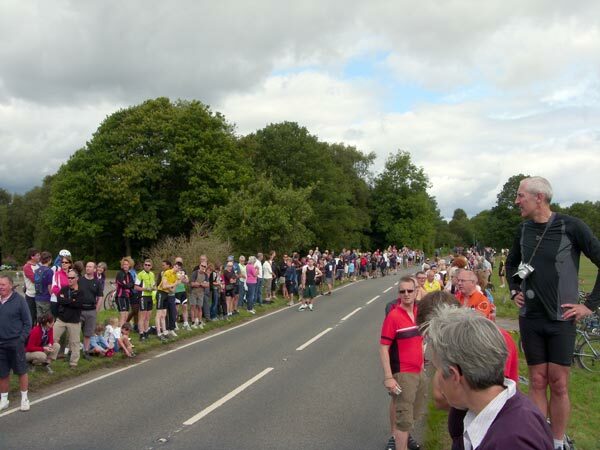 “It was incredible, there was a big crowd and it was very technical,” Cavendish said at the finish. 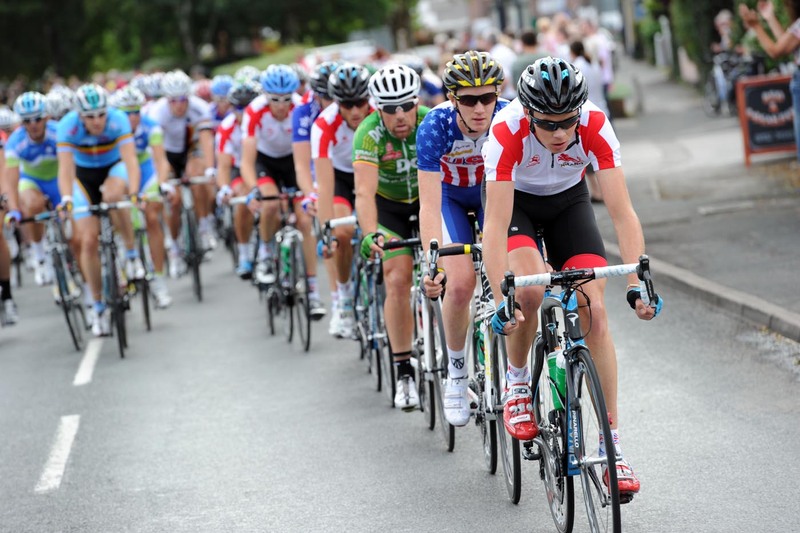 A late crash took one of his main rivals, Tyler Farrar (USA), out of contention. Under blue skies, largest crowds gathered in central London, the suburbs and deepest Surrey to greet the biggest one-day race Britain has seen in over a decade. British riders Tom Murray (Sigma Sport-Specialized), Liam Holohan (Team Raleigh) and Kristian House (Rapha-Condor-Sharp) decided to make hay in the sunshine. They were joined by Cleberson Weber (Brazil) in the day’s breakaway. 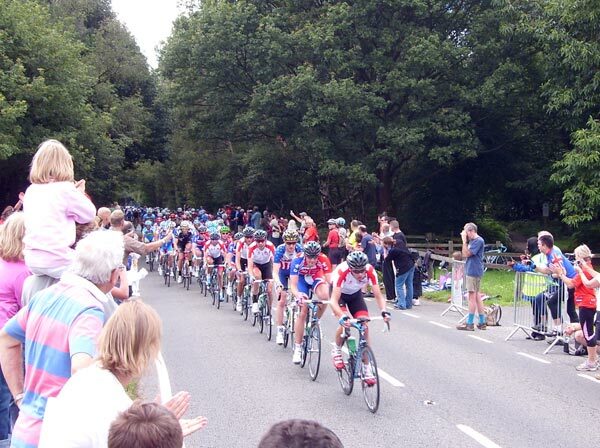 Heading through Kingston, Richmond Park and into deepest Surrey, the lead reached a maximum of six minutes before England and Great Britain started to crack the whip inside the final 60 kilometres. 2009 national road race champion Kristian House was first over both ascents of Box Hill to take the King of the Mountains award. With the peloton bearing down on the break in the charge back to London, House was also the last man of the quartet to resist, being swept up with nine kilometres left. 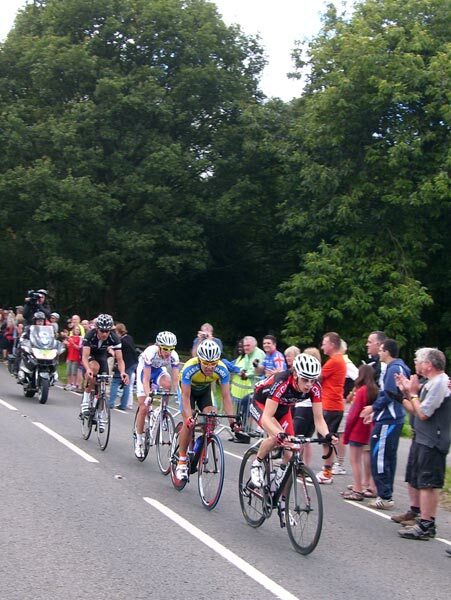 After a brief solo bid by Kurt-Asle Arvesen (Norway) was brought back, a crash in front of grand Brompton Oratory, two kilometres from the finish, took Tyler Farrar out of contention and split the bunch. According to Heinrich Haussler, the fall was caused by two riders fighting in the bunch. Farrar had just finished furiously chasing back on after puncturing in Richmond Park a dozen kilometres out. With twenty-odd riders off the front of the bunch on The Mall, everything was set up for Mark Cavendish, and he didn’t disappoint. A huge roar reverberated around the Mall as Cavendish took to the podium. Will we be seeing the same man cross the line victorious in just under 12 months’ time?